170,000 BTU tent heater, quiet, forced air, 1200 cfm. Thermostat and 100 lb. bottle of propane included in the rental & the unit is on small wheels. Propane consumption = 8lbs per hour, 100 lb bottle should last 12.5 hrs. Weight of unit is 126 lbs. Dimensions 31" long, 19" wide and 29" high. 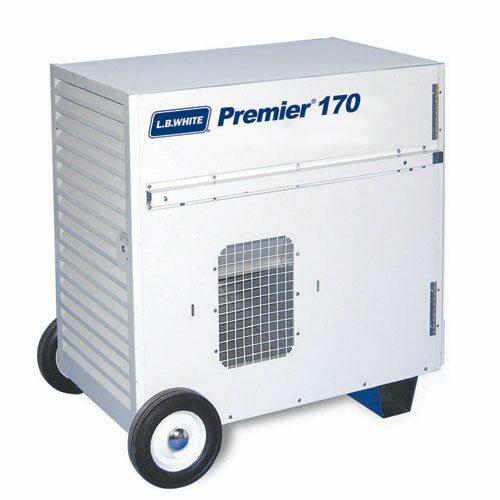 Reserve your Tent Heater 170 BTU for your party or event today! Best Event Rentals is a Fort Collins, Colorado based rental company but we also service: Loveland, Windsor, Greeley, Wellington, Estes Park, Red Feather, Laramie WY and even Cheyenne WY. Give us a call to see if the Tent Heater 170 BTU is available for rent. There are yet no reviews for this product. Tent Heater 170 BTU.